This page highlights our research around state laws and other policies that relate to obesity. To see products from other BTG research activities, click on the "Research" tab above. These data reflect codified statutory (legislative) and administrative (regulatory) laws effective as of the day after Labor Day of each school year (SY), 2006-07 through 2012-13 (the day after Labor Day was used as a proxy for the first day of each SY). Data are compiled for each of the 50 states and the District of Columbia. 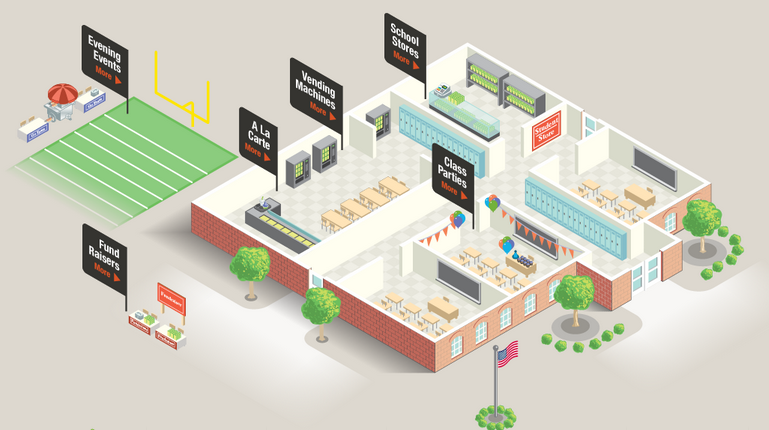 The data cover areas related to school wellness policies generally, including: nutrition education, school meals, competitive foods and beverages, physical activity, physical education, staff wellness, communications and messaging, marketing and promotion, implementation and evaluation, and reporting. The topic areas parallel corresponding data compiled by Bridging the Gap in our ongoing nationwide evaluation of the congressionally-mandated school district wellness policies (see our District Wellness Policies page for these data and more information). For the competitive foods and beverages topic area, we encourage you to visit our companion, interactive website, State Laws for Snack Foods and Beverages, that presents graphical data on codified state competitive food and beverage laws over time, by state, location of sale, and grade level of applicability. Our companion, interactive website, State Laws for Snack Foods and Beverages, presents graphical data on codified state competitive food and beverage laws over time, by state, location of sale, and grade level of applicability. The data files, coding guides and tools, and citation documents listed above under the State Wellness Policy-Related Laws can be used in conjunction with the information presented on this site. The data reflect state laws effective as of January 1 of each year, 2005-2011. The baseline year of 2005 was chosen as that is the year that The Safe, Accountable, Flexible, Efficient Transportation Equity Act: A Legacy for Users (Public Law 109-59; SAFETEA-LU) was enacted by Congress. SAFETEA-LU included safe routes to school-related provisions. Although SAFETEA-LU was not enacted until August 2005, we chose to create a 2005 baseline with the state law data to assess the extent to which states have existing or other laws “on the books” that might facilitate or inhibit safe routes to school. Most of these laws have been “on the books” for an extended period of time and were created for safety reasons not specifically related to safe routes to school. Please see our Soda/Snack Taxes page for the most recent information on state-level taxes on soda, bottled water, and snack foods. State Safe Routes to School and tax-related laws were compiled for the Bridging the Gap Program by the MayaTech Corporation.